Major changes to PvE are rolling out, including the first ones to address balance… and more importantly, GOLD. Not to mention, tiny little worlds contained in terrariums now allow you to send minipets in to challenge them for both fun and profit! MAJOR PvE Gold/Experience changes As the next step to massive PvE changes, we’ve made the following three (summarized) modifications. 1. Gold drops from sentients have essentially been doubled. 2. A throttle now exists for gold drops. It is set to a value we consider very generous, and far in excess of what a profitable trip should be. 3. Our exp formulas have been altered to give out experience based on difficulty, not just arbitrary mob level. Each terrarium is a small instance of its own environment. When dropped in your haven (or castle), it will sit there contently existing without need or input from anything. Pleasant ambient messages will surround those nearby… each of which gives a small, short time buff (think on the scale of 1% exp, 1% damage audit of a certain type). While not large, they passively give pleasantness to all around them. Which give what is part of the surprise! 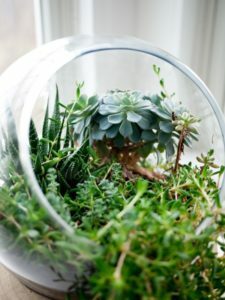 And yes, they stack, so you’re perfectly capable of filling an entire creepy room with terrariums.